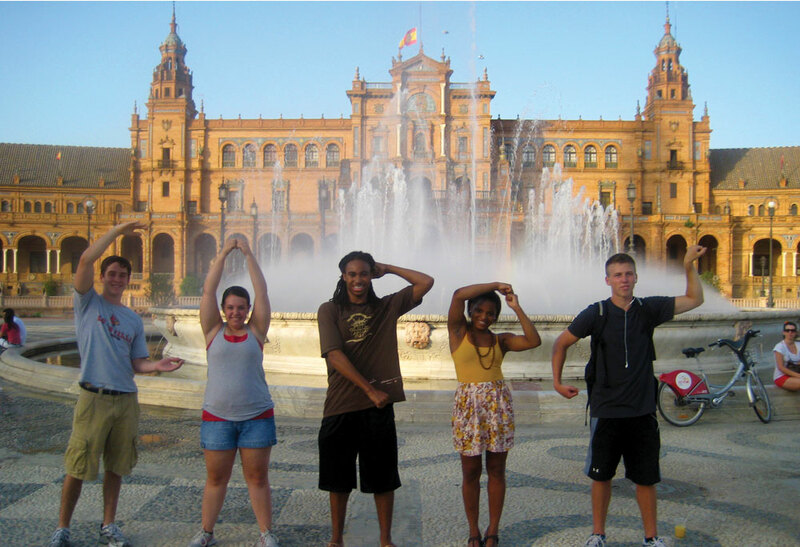 If you’re reading this, then you need to know how to survive a study abroad. Keep reading to learn a few rules to follow in order to have a great trip. Go study abroad. This is the cardinal rule, and there are no excuses for breaking it. Be open to going to a place you’ve never heard of before. During my trip, I went to a small city I had no clue existed (Zagreb, Croatia) and a large city that I did know existed (Prague, Czech Republic), and I would choose the small city every time. The experience that I got there was so much richer than the experience in the Westernized city; the people were genuine, the culture was more distinguishable, things were cheaper, the streets felt safer, and the city itself was more navigable. Order the fish with the bones and head, the seared squid, the goulash, the schnitzel, the sauerkraut. Whatever it is that sounds super gross and weird (yet oddly enough, everyone else in the country likes), ORDER IT. Because even though the fish has eyes, I promise it is the best fish you’ve ever tasted; and even though you hate sauerkraut, I promise it tastes a million better in the Czech Republic. Go to McDonald’s, but only do it once. This is just to experience how different it can be in another country. For example, have you ever heard of the “McCountry”? I hadn’t, either. Talk to your friends and family, but not every night. Stay out way later than you probably should have. Maybe even watch the sunrise in the park when you have class in just three hours. When your friends want to play in the fountain, let them. It’s not as frowned upon in Europe, and you’ll get great pictures of them. Ask locals to teach you phrases, but also make sure to double check what they tell you. You may be trying to learn “I love this pizza,” and they’re teaching you something far, far different. Be prepared to point at the menu when you order food. Your index finger is your new best friend. Realize that you will be the loudest person in the room and that you do have an obvious American accent. Pack a rain jacket and a few light sweaters, even if you are going in July. Louisville isn’t the only place where the rain creates a temporary river. Do not expect the bread on the table to be free, and never order mineral water. If you are used to having a washcloth, pack one. Because you may very well not get one in your European hotel bathroom. If no one wants to go with you to a specific site, go anyway. This may be the only time you’ll ever be in this location, and if you want to go see the John Lennon wall, then by golly, DO IT! Jot down notes of all the things you do every day. They don’t have to be full sentences, and they can be in your Notes app on your phone, but do at least write something down to remember what you did. The nights that are the most fun are the nights where you’re all together. I know this doesn’t apply to every one, because few study abroads are in groups, but the best dinners were the ones with 6 or more people. Always carry cash. Aside from not being able to use your card in some places (because they may give you a funny look when you say “do you accept Discover? Diners Club?”), our bills were always grouped together. And if you have the nerve to ask for a separate check, expect a glare. There you have it. Follow these simple steps, and you’re all set! My time in Zagreb and Prague was easily two of the best weeks of college, and they’re two weeks that I will always remember. Yes, after food, a passport, insurance, airfare, tuition, and souvenirs, they were two expensive weeks, but they were worth every penny. Hvala, and good luck with wherever you go! This entry was posted in Uncategorized by Taylor Ratliff. Bookmark the permalink.